Oats are a very nutritious and versatile grain able to be grown in regions with cool wet summers such as Northwest Europe and even Iceland. Oats contain more soluble fibre than any other grain, resulting in slower digestion and an extended sensation of fullness. 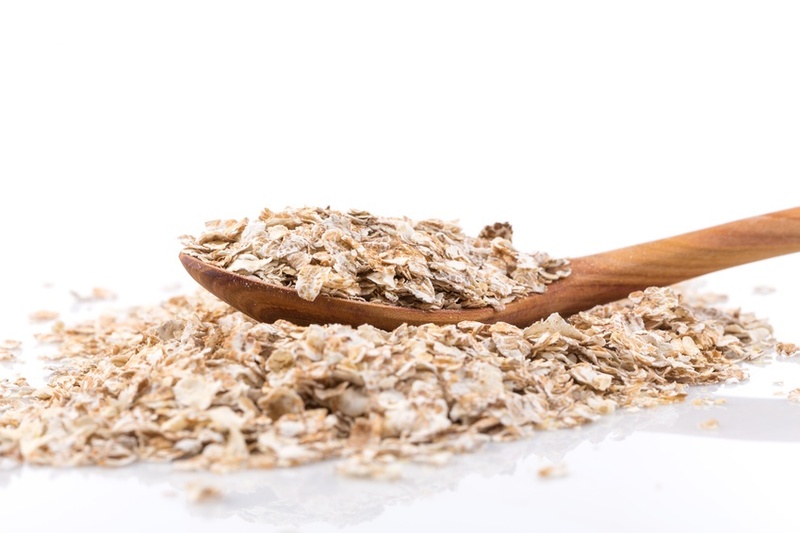 One of the soluble fibres in oats, beta-glucans, has proven to help lower cholesterol resulting in oat bran and products containing oat fibre being marketed as preventatives against heart disease. Oats are also a good source of iron, folate, magnesium and pantothenic acid (vitamin B5). Oats, after corn (maize), have the highest lipid (fat) content of any cereal. Oats also contain a very high quality protein, similar to that found in soy, which is considered by the World Health Organisation to be equal to meat, milk and egg protein. The protein content of the hull-less oat kernel ranges from 12 to 24%, the highest among cereals. Because of this high lipid content, it is important for oats to be stabilised by steaming once they are rolled, exposing the germ to the air. Otherwise they would become rancid within a few days. They are no longer 'raw' as heat has disrupted the germ so they will not sprout. On the positive side, this pre-steaming makes the oats easier to digest. Rolled oats are simply steamed oat groats that have been pressed through two rollers. The size of the rolled oat (or oat flake) depends on the size of the groats that were flaked ' small, medium or large. We use the jumbo (large) rolled oats in our mueslis. The 'quick' oats (smaller oat flakes) are great for making porridge. Nutritionally they are the same, and have gone through the same steaming and rolling process. They both contain the germ and the bran, and are therefore 'wholegrain'. Oat flour (made by chopping the rolled oats in a food processor) is ideal for making light waffles, crackers, or cookies. Our oat crackers for example are just finely ground oats, water, olive oil and salt, baked until crisp at a low temperature. Gluten-Free Oats' Are oats gluten free' This is a very good question! Recent research indicates that some cultivars of oat can be a safe part of a gluten-free diet, because different varieties of oat have different levels of toxicity. Also, not all celiacs are sensitive to the oat protein avenin. Additionally, oats are frequently processed near wheat, barley and other grains, such that they become contaminated with other glutens. Because of this, oats are officially listed as a gluten-containing crop. However, oats from Ireland and Scotland, where less wheat is grown, are less likely to be contaminated in this way. Oats are part of a gluten-free diet in, for example, Finland and Sweden. In both countries, there are 'pure oat' products on the market.